Creating a Fairy and Gnome Garden Can Add Magic to Your Backyard! There’s nothing like a good, old-fashioned Grimm’s Fairy Tale to transport us into a magical world of make-believe. And let’s face it…vacationing from time to time from the harsh realities of a sometimes cold world can be a very good thing. Taking a trip from reality to the land of fairies and gnomes can reduce stress and enhance your life with wonderful elements of whimsy. Wouldn’t it be great to invite a world of magic and fairytales to your home? Why not create a whimsical fairy and gnome garden right in your backyard, nestled among your own existing beautiful landscaping? You can even create a fairy and/or gnome garden on a balcony! 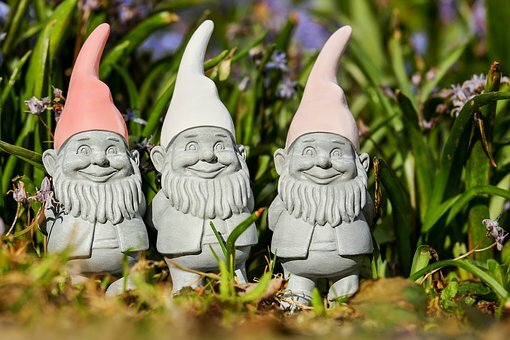 Garden gnomes and fairy garden sets lend themselves beautifully to small spaces such as planters, terrariums or a tiny corner on your patio or balcony. Fairy and gnome gardens can turn your yard into an enchanted garden that will delight your adult guests and enamor children. Aside from enchanting all of those who visit, they can even bring an early appreciation of all of the wonders of gardening to small children. Your fairy and gnome garden can range from a few tiny fairies and gnomes to an extensive collection of fairy and gnome houses and accessories. There is no limit to how far your imagination can take you! There are tiny magical animal figurines, miniature fanciful creatures that peek out from cottages or perch upon lily pads. And feel free to accessorize with fairy and gnome gazebos, birdbaths, bridges and more!